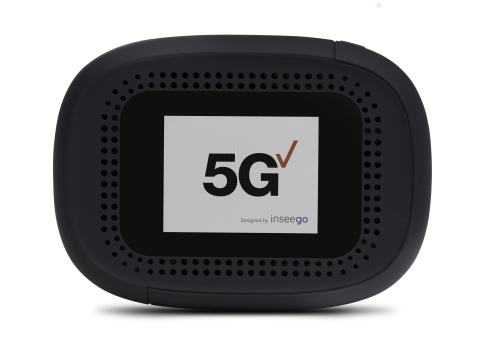 Inseego Corp. (Nasdaq: INSG), pioneering 5G and intelligent IoT device-to-cloud solutions, and Verizon, the first in the world to launch a commercial 5G network, will unveil MiFi® 5G NR mobile broadband technology on Dec. 4 at the Qualcomm Snapdragon Technology Summit in Maui. The two companies will conduct a live virtual reality telemedicine demonstration in partnership with Columbia University using an Inseego mobile hotspot device, powered by the Qualcomm® Snapdragon™ 855 Mobile Platform and Snapdragon X50 5G modem and antenna modules with integrated RF transceiver, RF front-end and antenna elements, running on Verizon’s 5G NR mobile network deployed at the event venue. The device also offers powerful next generation Wi-Fi performance using the Qualcomm® Wi-Fi 6-ready mobile solution. The Inseego mobile hotspot launches on the Verizon network in 2019. For more information on the Inseego and Verizon 5G NR demonstration at the Qualcomm #SnapdragonSummit in Maui, or to schedule an interview/briefing with Inseego/Verizon executives, please email inseego@goDRIVEN360.com.